For the fourth year, Brooklyn Brewery has teamed up with New York Comic Con and illustrator Khary Randolph to create the official beer of the convention. It's an explosive West Coast-style IPA with a reddish twist thanks to a dash of roasted malt. Bold, fruity hop bitterness and an intensely resinous nose smash into a sudden dry finish that will refresh and entice you. Starting in 2016, the Defender will be available in bottles and draft across the United States, standing tall for all those who believe in excellent beer. 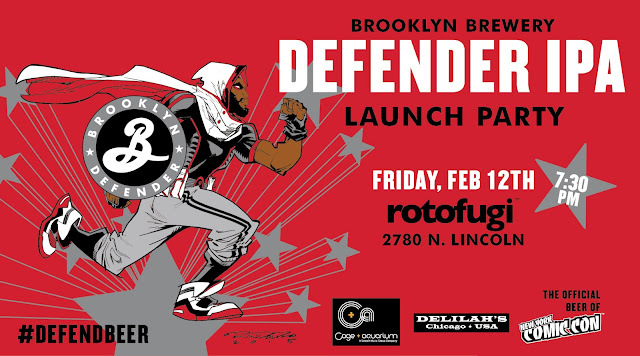 To celebrate it's launch in Chicago, Defender IPA is coming to Rotofugi on Friday, February 12 at 7:30 PM. It's going to be a welcoming party like none other, but a character like the Defender deserves the best. Your $10 ticket grants you entry, three beer tickets, live comic book portraits from Chicago artist Kat Janda, and some sweet East Coast hip hop, funk and more from the Vinyl-Only DJ. You'll also be entered to win a Defender prize pack including a Brooklyn Brewery snapback, a set of Defender pint glasses, and limited edition artwork, all signed by this year's Defender artist, Khary Randolph. 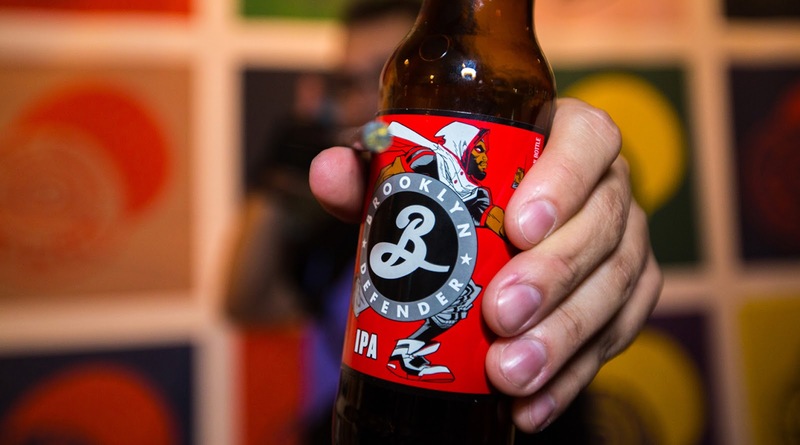 Even if you don't win, there will be plenty of Brooklyn swag to take home. Grab your tickets right here, and get ready to #defendbeer!